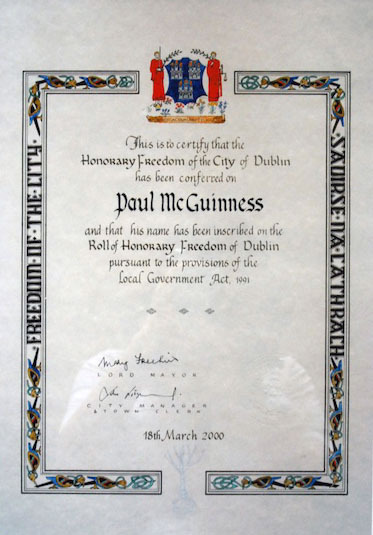 U2 and their manager, Paul McGuinness, were awarded the Freedom of Dublin in 2000. As part of the award, they each received a Waterford Crystal model of a Joshua Tree – a reference to the band’s seminal 1987 album. The models were so delicate that only Paul’s survived the journey home.